If you have sustained severe head injuries in an accident, you should contact an Oxnard brain injury attorney to your compensatory damages. Posted in Brain Injury Attorney on Thursday, Sep 14, 2017. Traumatic brain injury, often known as TBI, can affect all aspects of the victim’s life. It is very different from other types of injuries since one minute the person is having a great time and the next minute the moods and attitude may change abruptly. The person’s personality and mental health can be unstable and it may take a while before the person regains his or her prior function. These injuries may require ongoing treatment, which can be very costly. If you have sustained severe head injuries in an accident, you should contact an Oxnard brain injury attorney to your compensatory damages. Traumatic brain injuries are very different. Our brains control how we behave and who we are therefore your mental ability may not be the same after an accident. Brain injuries will take some time to heal. It’s uncertain how the brain recovers and every person may react differently to the accident. Some victims may show traumatic symptoms immediately after the accident, on a temporary basis, while others may experience symptoms later on requiring lifelong treatment. A person affected by a TBI can be left in an unresponsive state that may require rehabilitation and long-term treatment. Even when the injuries are not that severe, the victim’s injury can have a profound impact on the victim’s social life, family, and the community as a whole. When the injuries are severe, victims may have limited function of some body parts, loss of thought, and emotional struggles. 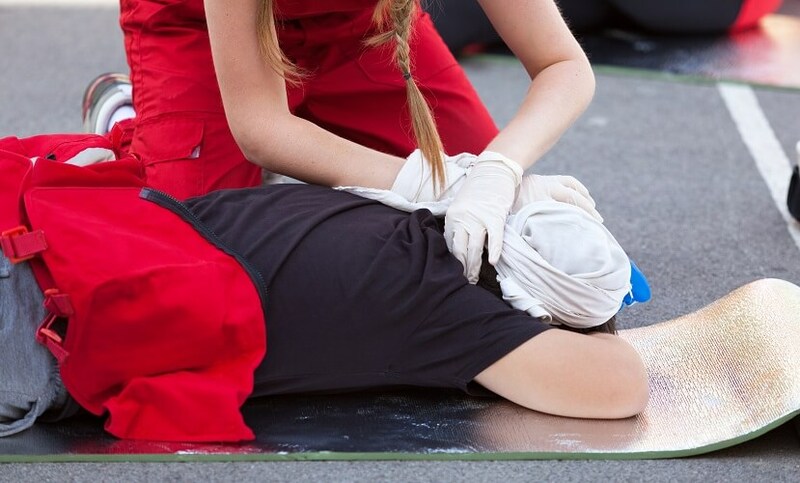 The amount of people affected by traumatic head injuries has increased dramatically in recent years. Some of the main causes of these injuries are vehicle accidents, falls, and firearms. Young adults and the elderly are more at risk. Spinal cord injuries are also very common in car accidents. Prevention is the best way to avoid them. Closed head injury – This is when the skull was not penetrated and they are caused by a direct and indirect force. Open head injury – Here the skull is penetrated and the victim suffers a direct injury in the head. Diffuse axonal injury (DAI) – This is when the victim suffers an injury in a car accident and the shearing force disrupts nerve cells in the brain. Contusion – It’s a bruise in the brain. Penetrating trauma – This is when an object enters the brain causing a direct impact. Secondary brain injury – Some chemicals may develop inflammation and cell injury. In some cases, death is also possible due to pressure and brain damage, which can cause respiratory complications. Patients who sustained these injuries should receive adequate treatment. Your attorney will determine how much is your case worth taking into account a variety of factors such as your medical costs, lost wages, rehabilitation, and pain and suffering. Depending on the circumstances of your accident, your spouse may also file a separate claim against the guilty parties. These cases can be extremely difficult to handle on your own. Contact us today and schedule your initial consultation with an Oxnard brain injury attorney.